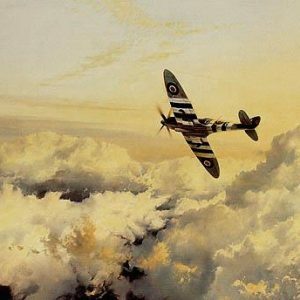 Dominating the skies over Germany, P-51s of the 4th Fighter Group – The Eagles – sweep across the cloud tops, their pilots scanning the distant horizon for any signs of the Luftwaffe. They are ready for trouble should the enemy decide to chance their luck. Dominating the skies over Germany, P-51s of the 4th Fighter Group – The Eagles – sweep across the cloud tops, their pilots scanning the distant horizon for any signs of the Luftwaffe. They are ready for trouble should the enemy decide to chance their luck. 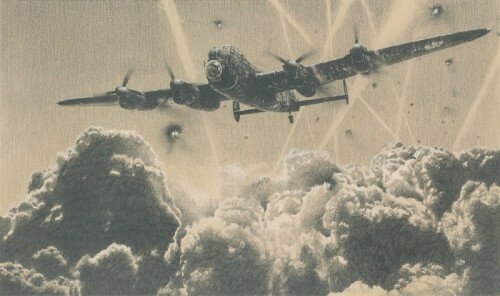 . . . . .Formed in September 1942 from the RAF Eagle Squadrons, the Fourth Fighter Group was the oldest fighter unit in the Eighth Air Force; Under the command of Don Blakeslee, described as ‘probably the best fighter leader of the war’, the combined air and ground victories notched up by ‘The Eagles’ during World War II surpassed any other fighter group. 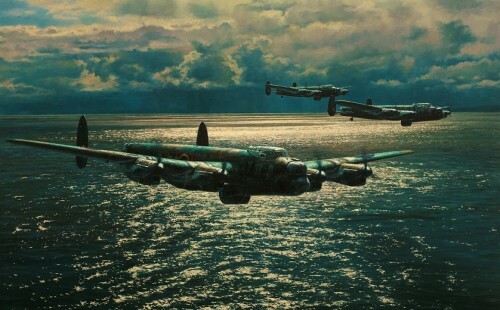 They were the first to penetrate German air space, and the first to engage the Luftwaffe over Berlin. Hermann Goering later remarked ‘When I saw those Mustangs over Berlin, I knew that the war was lost’. 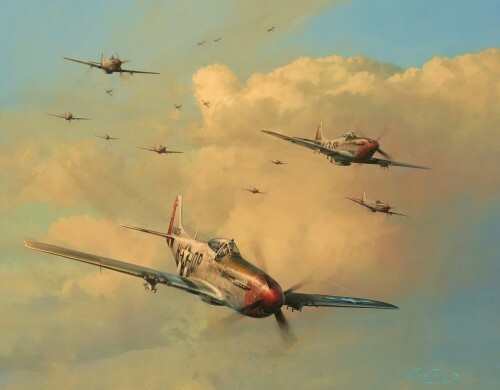 It is fitting therefore that Robert Taylor has chosen the Fourth Fighter Group for his classic new painting Eagles on the Rampage to represent all the pilots who flew P-51s with the USAAF. Following on from the great success of Roberts previous piece Horrido! 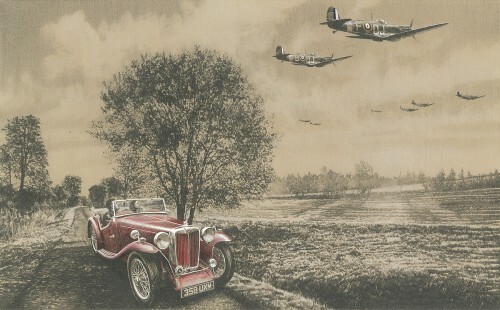 which was a tribute to the Luftwaffe Aces of WWII – each print in this outstanding edition is signed by some of the most famous Mustang pilots that flew in the European Theatre during World War II. Every signatory in the edition has reached Ace status, creating a historic new collectors’ edition which may never be surpassed.